It was 2003, when I first started my coaching and acupuncture practice...before Jesse and I started Thrive Academy. I'm at a local networking event and I’m feeling pretty anxious about getting some new clients because the amount of money I was making wasn't even covering my bills. No more leaning in and the connection we had begun to build is instantly gone. She asks for my business card and hands me hers and then she walks away and, of course, I never hear from her again. If you’re a coach or holistic practitioner and you’ve ever gone to a networking event, I bet this has happened to you at least once or twice. 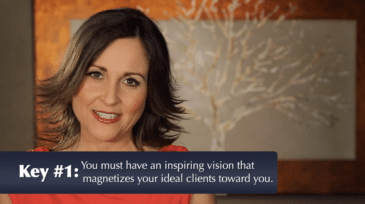 After so many years of trial and error in our own businesses, Jesse and I have since taught over 25,000 coaches and practitioners how to gracefully transition from the potential of a lost client into an opportunity for a loyal client. First of all, you should know that when this happens it’s actually a REALLY good sign. It’s likely they’re a good potential new client and interested in what you have to offer them. But if you handle the conversation poorly, you’ll lose them. 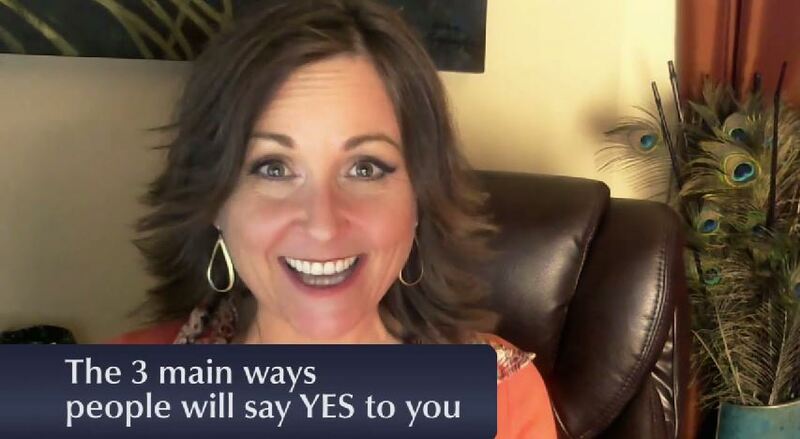 At the Client Attraction Summit we teach our signature system called, Heartselling™, which allows you to have an authentic conversation with a potential client that has them asking to work with you, rather than “hard-selling” them into a “yes”. Taking the time to find out what they’re looking for is key to this successful approach. But when they ask, “How much do you charge?” before you’ve had the chance to see if you’re really a match, it can be awkward. They don’t have all the information they need to make a decision…and you don’t want them making their decision solely on price. The problem is that if you answer the question right away there isn’t any context for them to hear an answer that makes sense to their needs. This is especially true for businesses that provide several offers or options for their services. You have no basis for an answer and the potential client has no basis to make a decision. If the person is just bargain shopping they’re not going to be a good client for you anyway, right? However, this doesn’t mean the person CAN’T be a good client. But if you answer their question about price right away, you may never know. 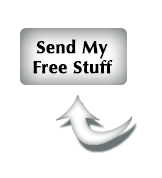 And then you schedule a free or low-cost consultation with them in which you can talk with them more deeply about what they’re looking for, where they are now and what’s missing for them in their life (or business or whatever is relevant to the service you provide). You then share with them how you can help them, and make a recommendation based on your experience. This is where the graceful transition from lost client to loyal client comes in. Can you see yourself answering a potential client in this way? How does it feel when you say these words? It might feel awkward or evasive at first, but remember, you are simply opening the door for a more in depth conversation so that you can truly discover whether or not you can help this person. 4. As you’re getting ready to attend the event, release any attachment to the outcome. You don’t want to feel anxious or needy before you even walk in the door! Post a question or comment below to stay in community and share your experiences. Do you ever feel like you’re just not ready? If you don’t feel ready, you’re not alone. Whenever you are considering growing to the next level, it’s so easy to feel like you’re not ready. Because if you were ready, wouldn’t you already be where you wanted to be? Fortunately we didn’t let that feeling stop us from reaching our people. Along the way we’ve discovered some strategies that have helped us when we didn’t feel ready. 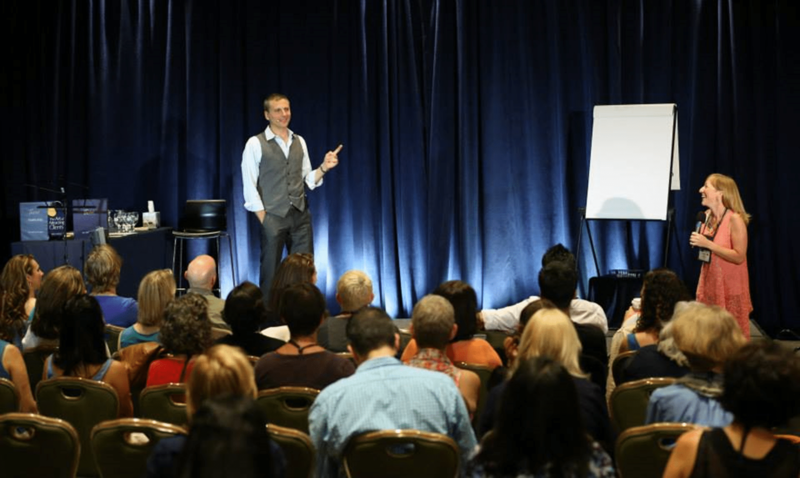 Strategies that have allowed us to continue to up our game and help over 50,000 people worldwide. You want to help more people and make more money. Even though you want this badly, you don’t feel totally, 100% ready. Everyone has ways of coping with their feelings of not being ready. But some strategies work better than others. We are about to set our schedule for our 2016 events. Am I ready for next year’s events? Hell, no. But, I do know that once I commit to the dates, the Universe then goes to work to prepare me for each event. I will get the magical blend of support and challenge that will help me be of the greatest service to the people who attend each event. Let’s take this premise a step further. Recently, the night before a big Client Attraction Summit, one of our team members asked me if I was ready for the event. “No, I’m not ready,” I said. She looked a little concerned. 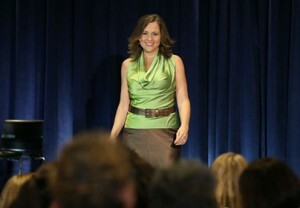 “But I will be ready tomorrow morning at 9am.” As soon as I said that, I felt a rush of excitement shoot through me, as I mentally prepared to greet a couple hundred people from all over the US (and some from other countries) who were coming to take their life and business to the next level. This has happened enough times that I have come to realize that if I commit to something, I will be ready by the time it happens. So, expect to NOT be ready at the time you commit... but expect to be ready by the time you get there. And, if what you’re committed to feels like a BIG leap, get ready for a powerful, growth-filled ride that will perfectly prepare you for what you’re leaping into. About 7 years ago, I was asked to be a guest speaker at a very large seminar, by far the largest group of people I had ever spoken in front of. I did not feel ready. No matter how much I practiced what I was going to say, I still didn’t feel ready. But, I had to show up and trust that I would be ready by the time I walked on stage, right? So, I started saying to myself: “I love you no matter how this goes. I love you no matter how this goes. I love you no matter how this goes.” As my time for speaking approached, I was starting to feel a bit safer and a bit calmer. So, I started another mantra: “Thy Will be Done.” I love this mantra, because it reminds me that there is an Intelligence in this Universe that goes WAY beyond my intelligence and the way I think things should go. After all, my heart beats, my breath goes in and out, flowers bloom, forests grow, and the Earth orbits around the sun... all, without my managing any of it. By repeating the mantra “Thy Will Be Done,” I handed over control of how the event went to this benevolent intelligence. Obviously, this Benevolent Intelligence wanted me to stew in my thoughts some more, because my speaking slot got moved AGAIN. So, I started another mantra. And another. By the time, I finally spoke at about 5:30 in the evening, I had worked through my biggest fears. 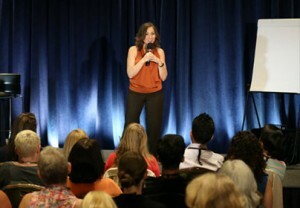 Without my fears sabotaging me, I delivered an incredible 20-minute talk and was mobbed by people afterward who wanted to get into the Client Attraction Summit. So that happened. There was a time when I really didn’t believe in myself. I was 23. I had flown out to North Carolina to interview for a Wilderness Therapy Counselor position for at risk teens. The interview was a 24-hour interview, where I joined a group of 10 teenagers and their two counselors to experience life at camp. I envisioned a bunch of teens happily working together in the woods and sharing meals together. Instead, it was the longest 24 hours of my life. At 10pm, the group was still yelling swear words that echoed across the forest. So, the group counselors took the boys on a walk through the dark woods to settle them down. At 11pm, the boys were still hooting and hollering and saying some of the most disrespectful things I had ever heard. Eventually, Patrick physically restrained one of the boys who was out of control, and held him on the ground until he calmed down. Eventually the group calmed down enough to walk back to their tents and go to sleep. As I lay awake that night, I knew I wasn’t ready for anything this. I was totally out of my league. I was stunned. Exhausted. Constipated. And I felt like a deer in the headlights. “Do you really think I can do this?” I asked. I looked in her eyes and I knew that she meant it. I knew that if I said “Yes” it was going to be really, really hard. And I knew that if I said “no” I would be selling out on the leader I so badly wanted to grow into. Over those two years, I doubted myself a ton. There were days when swerving into oncoming traffic seemed easier than showing up for work. But, when it got really rough, I often thought about that day, sitting in Rhonda’s office where she told me that she believed in me. And I leaned into her support and the support of my co-counselors. When I finally “graduated”, after the 2 years, I had an unshakable confidence in myself. I knew that if I could survive 2 years at that camp, that I could do anything. This confidence has fueled our success at Thrive. Because I know that there is nothing that Sharla and I can’t fulfill on in our business and with the help of our team. And, I also know that you too, can do anything. It takes having a community of people supporting you and believing in you, to have the success you want. Hopefully, you have a LOT of people who believe in you, who are supporting your business and who are rooting for your success. And, this is one of the biggest gifts we offer at our Client Attraction Summit. Our belief that you can have a successful business where you get paid well to support clients you love. And, we would love to give you 3 Full Days of our undivided attention and support, to help you get there. This is why we occasionally open Full Scholarships to the Client Attraction Summit. If you haven’t applied for yours, we invite you to do so now. Click here to apply for Your Full Scholarship. We’d love to support you.